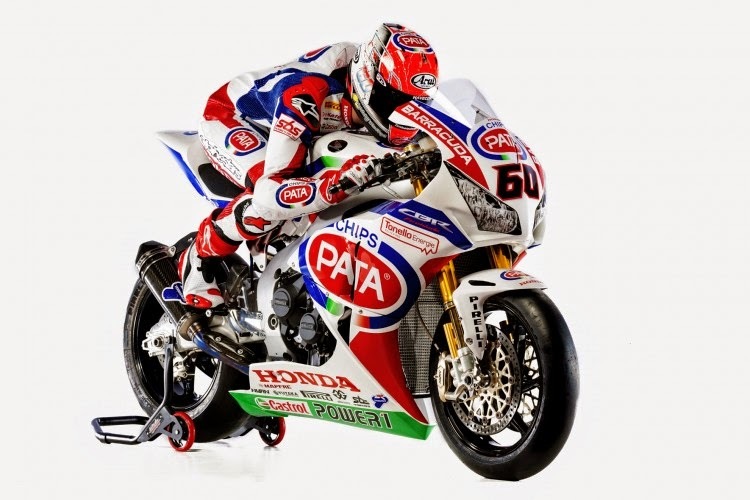 The Pata Honda line-up for the 2015 World Superbike championship was officially unveiled at Verona in Italy today when Sylvain Guintoli and Michael van der Mark were presented to a large and enthusiastic crowd of Italian fans and media. 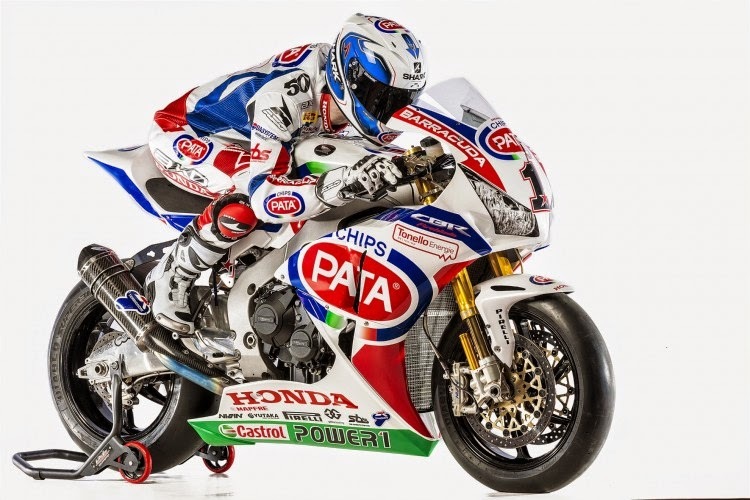 The two riders – both world champions in 2014 – have already tested their 2015-specification Pata Honda CBR1000RR Fireblade SP race machines this year at Portimao, Portugal and, earlier this week, at Aragon in Spain. In spite of less-than-favourable weather conditions, both riders declared themselves happy with the development of the CBR, on which their Netherlands-based team has worked hard to meet revised technical regulations for the 2015 WSBK season.